What’s the status of your name? Would you say it is good? Do you even care how those around you view your name? I’m not talking about the actual name. Mine is Brian. There is nothing fancy about that as over one million people in the U.S. share it. It’s statistically the 29th most popular first name. I’m talking about what your name implies. When people hear it what do they think of you? A good name really speaks to your integrity. Therefore, it’s about your reputation and the character you have inside. It identifies who you are from a moral and ethical standpoint. Essentially it is what you are all about. 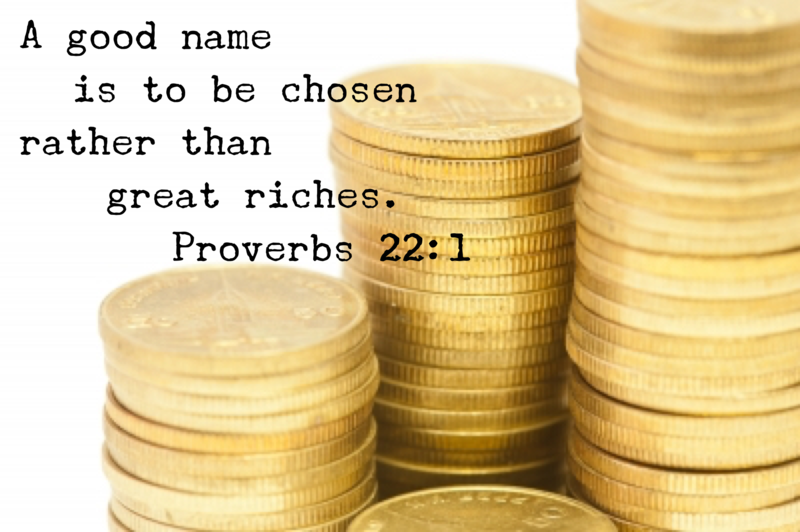 The Bible says in Proverbs 22:1 “a good name is to be chosen rather than great riches…” That’s amazing! Your good name is better than all the money in the world. That’s what people think when your name is mentioned. Does that seem odd? I mean I could find some positive ways to use great riches. It sure would set my mind at ease knowing I’d never need to worry about money again. That may be true but a good name still provides more value than money. Here’s why.